If you have an elderly parent, or friend, in a care home, it becomes harder to think of ideal gifts for people in care homes as their lives are now so different. Frailty, confusion and stumbling are often present and the last thing you will want to do is to give a gift that's impractical, causes confusion or is just an ill thought idea. 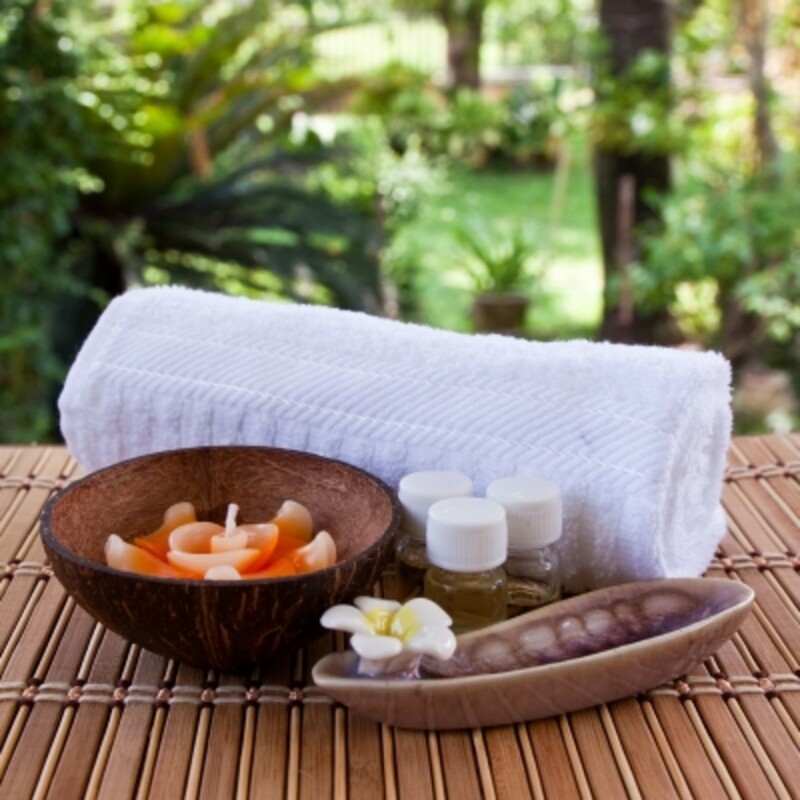 You want to give thoughtful and useful gifts, but can be stumped for ideas! Here are some great ideas to get you thinking how you can give a gift you feel pleased about when it comes round to being their birthday, a significant other gift-giving season, or simply because you are visiting. 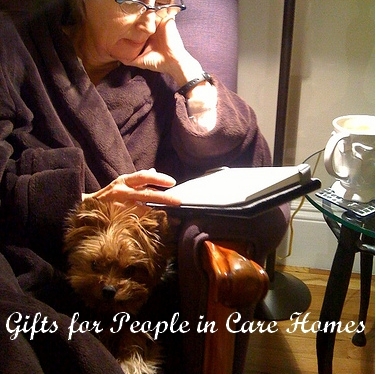 Gifts for People in Care Homes. Their infirmity/disability. Are they frail, or confused? Avoid buying things that will clutter up their drawers or sink areas in case they stumble and reach out to steady themselves. Space available - you can't fill their room with 1001 objects as their room is now also, increasingly, going to become a room where a District Nurse and carers have to work and operate when helping them to get dressed, or when changing dressings/bandages etc. Giving flowers to somebody can be a little problematical because there is little space in their room, plus it can be beyond the ability of your elderly relative in a care home to manage for the flowers you give. Tailor your flowers to the abilities of the person. Avoid flowers that require a vase. If your relative doesn't have a vase in their room, or if it might cause a trip hazard for them to fall onto or knock over, then there are other options. Some shop-bought flower arrangements now come in their own vase-type of base, so the flowers simply need to be taken out of the wrapping. However, it might be that the care home staff are unfamiliar with this style of flower arrangement packaging and might accidentally remove the special base and put the flowers in a vase anyway. 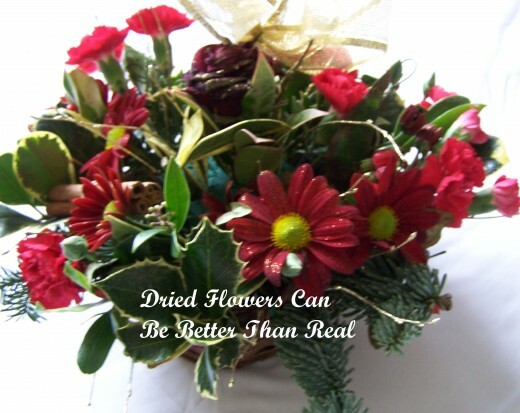 A dried flower arrangement is a great idea - it doesn't need looking after and remains looking nice for months. Alternatively, seek out an unbreakable vase - one that isn't too tall is least likely to cause problems with falling over or being knocked. There is a very attractive range of these easily available and affordable from your local floristry shop or even on ebay. A Kindle can be a great gift if your relative struggles with osteoporosis or is generally weak-of-hand. They are so much lighter than books and they won't struggle to find their place. Of course, you have to think about how tech-savvy your friend or relative is. 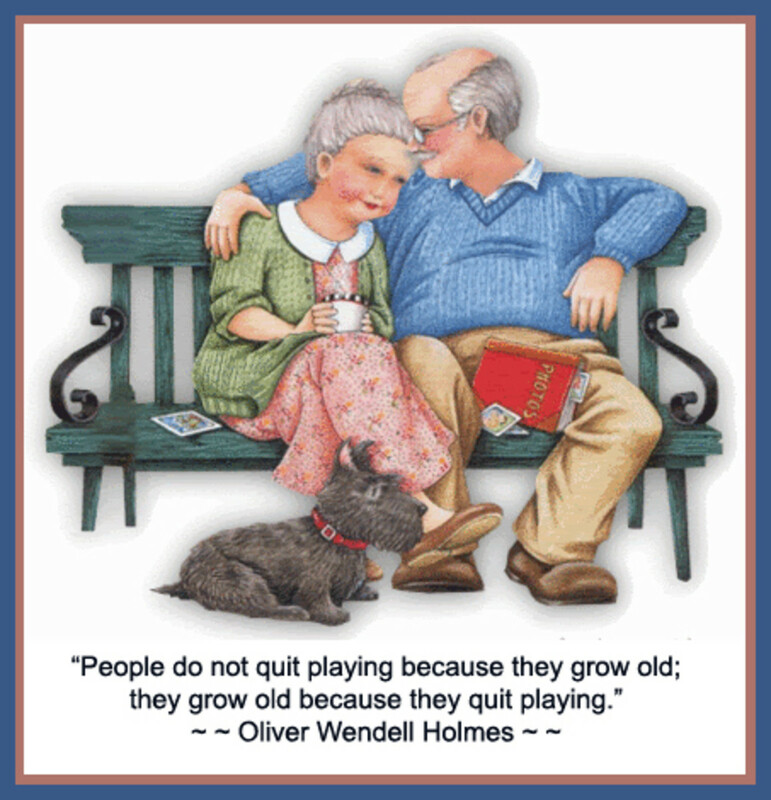 If they have dementia it is possible that you won't be able to teach them how to use it. Spend time finding one that is easy to read - and think about also getting a good tough Kindle case as the elderly can become confused and drop things. Books can be too heavy, or the print too small, or the light in their room inadequate - a Kindle can solve these problems for a lot of older people. Additionally, rooms in care homes can be quite small, with little opportunity to put in a book shelf (or it's too much hassle if you don't live locally and can't arrange it and be there). A Kindle helps to avoid room clutter - room clutter can be a trip hazard to the elderly. When in a care home, your relative will be spending time in bed, a Kindle makes it easy for them to hold and read - and also sitting in the lounge areas and they don't want to be loading up their mobility trolley with books. A Kindle is easy for them to carry about wherever they are sitting. Note: Make sure you label the Kindle and any charger etc clearly in case it gets mislaid. The elderly can often leave things lying around their care home, especially if they have dementia. You can pick up neat labelling machines fairly cheaply these days. These can also be useful for labelling any appliance plugs in your relative's room so it's clear what is plugged in. If they are a little confused it will help prevent them unplugging the wrong thing - and if they are arthritic then it might help them struggling to unplug (then re-plug) the wrong item - at least they will be struggling only to unplug or plug in the item they intended. A digital photo frame is probably one of the best gifts you can give somebody in a care home. You can spend time, if necessary, scanning in all the old photographs in their photo album, or any old slides, and load them all onto a digital photo frame, then set it up to scroll through them all. This saves your relative or friend from having to actively pick up their photo album to look through it - and every time they look across their room a different photo from their past is being displayed. A digital photo frame has the additional benefit that you can easily collect more photos, from other relatives or friends and add those into the collection. Over time, too, you can top up the photo frame with more modern images - perhaps photos from a wedding they couldn't attend, or holidays and other snaps from family members. It helps to keep your relative in touch with what everybody is doing easily. How many sockets are in the care room home and where the photo frame could be placed easily so it isn't likely to be knocked and yet they can see it. You might have to think about getting one with a rechargeable battery. If it is not practical to have a photo frame on permanent display, but kept inside a drawer, then it is still easier for your relative to take it out and go through the photos than a stack of traditional and awkward/heavy photo frames. Size of the screen - too small and they might struggle to see it. While not often thought about, your elderly relative might be spending more time sitting in bed, perhaps reading, than they used to. If they are simply resting, or not very well that day - or cantankerous and refusing to get up! Bed jackets are a great gift as they can sit up in bed and read without feeling cold at all. Older people do feel cold more easily and they'd not think to put on a cardigan while in bed and a dressing gown would be too awkward/uncomfortable. It is worthwhile buying two bed jackets if your relative spends quite a lot of time in bed as it will need to be taken away for washing by the laundry, which would leave them without a bed jacket for a couple of days at a time. The material - is it easily washable. In a home clothes will be washed in the laundry room, so it needs to be of a machine-washable material. The pattern/shade - your relative might be having a few more spillage and drip accidents with food and drink. Try to choose a nice pattern where these stains aren't quite so obvious. Perfume can be a tricky gift to give to your relative in a care home as their abilities are now impaired, so you can't assume they are able to use it like they used to. Try to avoid any glass perfume bottles - they might be dropped and your relative might cut themselves trying to clean it up. 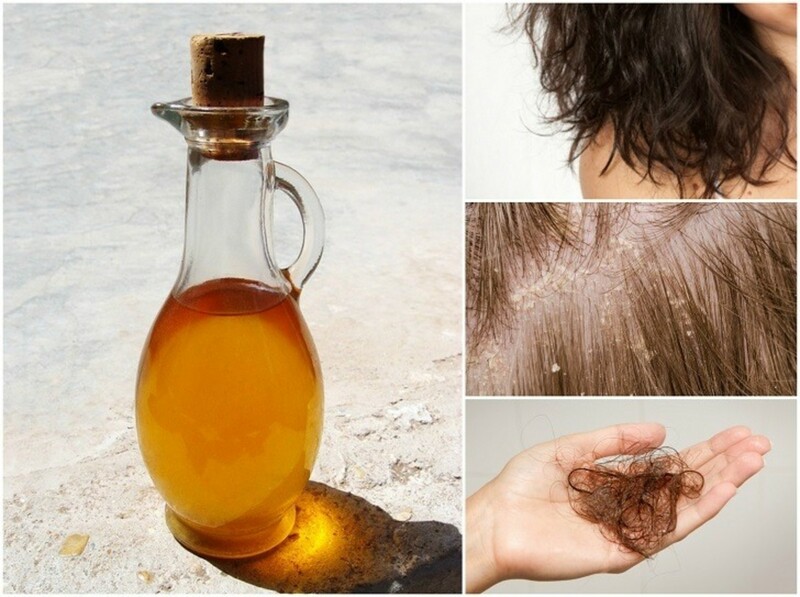 Try to avoid perfume bottles with an open neck, with no "spray" function - these are easily spilt. Perhaps you could try to get them the type of perfume that goes into an unbreakable container with an atomiser. Generally, perfume can be a difficult present to be used safely. Alternatively, just buy them body sprays. 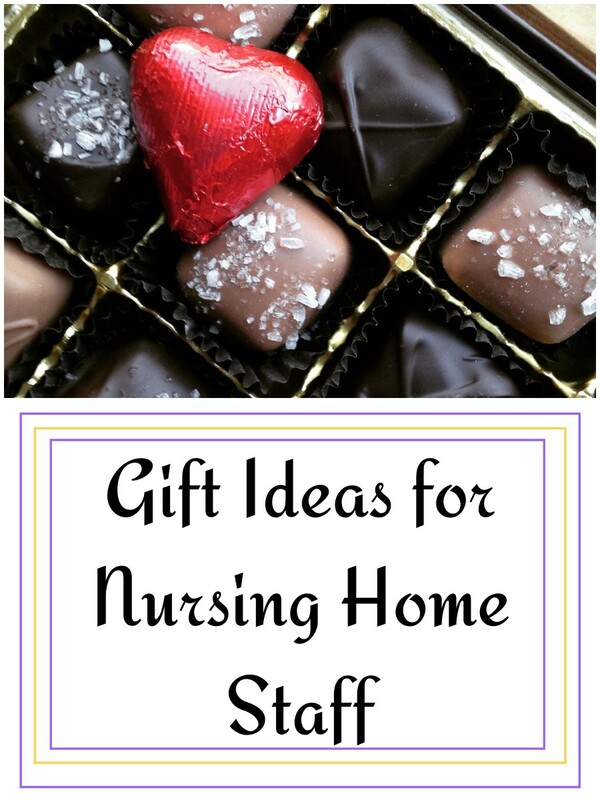 Nice tips for gifts for people in care homes. I remember my hubby's grandmother really appreciated a bed jacket. It is handy when you have those unexpected visitors and keeps the chill off when reading in bed. Yes a visit is good - but you still need to take a gift! We've struggled to find good gifts now she is in a care home as things we used to buy were no longer appropriate. Having given now 4 pairs of slippers, that aren't wearing out, an outdoor jacket, that doesn't get used, more than enough clothes to last the next 10 years and several bouquets that weren't tended to. I'd also sorted out every photo and put them into albums - but they haven't been looked at as they are forgotten, or unwieldy (even though I used small photo albums). Thanks and my vote up, useful and interesting.